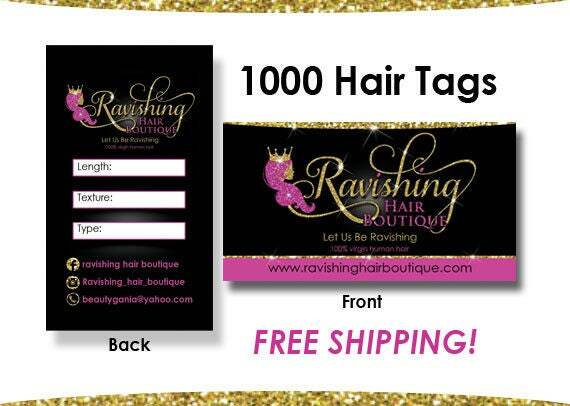 *The size of hair tags is the same as a standard business cards, printed on 16 pt. The tags don’t come with holes on top and no strings included. * No logo included in this deal. * One revision is included if needed. ♦ Info to go on front and back of tags. ♦ A good shipping address. ✔Step 4: We will work on your design and send you the a proof in 2 days, once approved we will proceed with the printing of tags then ship them to you. I was more than pleased with my tags they turned out much better than I thought and cost was well worth it!!! !